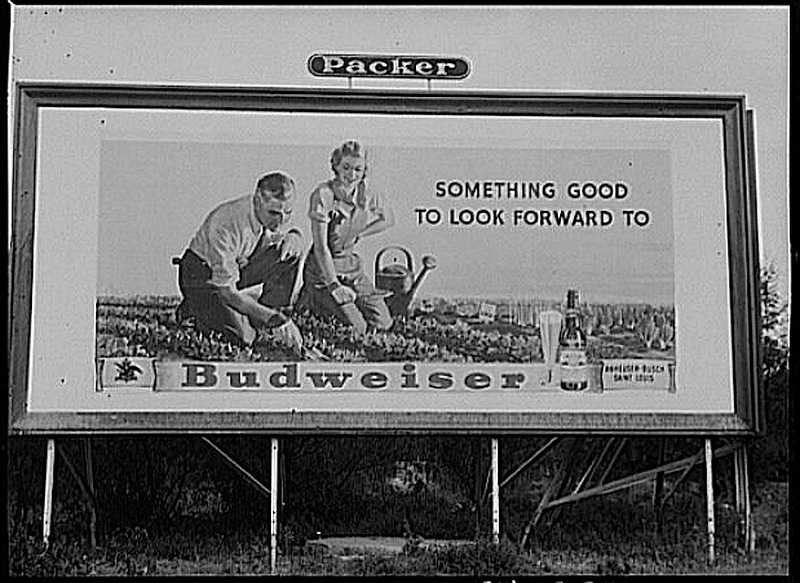 Billboard, Harlingen, Texas, May 1943, by John Vachon, via Library of Congress Prints and Photographs Division. Fresh salad and a beer. . .